Michael D. Zoltowski received both the B.S. and M.S. degrees in Electrical Engineering with highest honors from Drexel University in 1983 and the Ph.D. in Systems Engineering from the Moore School of Electrical Engineering at the University of Pennsylvania in 1986. 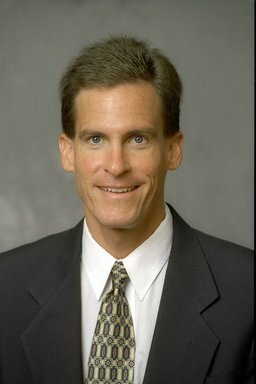 In Fall 1986, he joined the faculty of Purdue University where he currently holds an Endowed Chair position as the ''Thomas J. and Wendy Engibous Professor of Electrical and Computer Engineering." In this capacity, he was the Ruth and Joel Spira Outstanding Teacher Award for 1990-1991 and the 2001-2002 Wilfred Hesselberth Award for Teaching Excellence. In 2001, he was named a University Faculty Scholar by Purdue University. He was also the recipient of the 2012 Distance Teaching Award from the Division of Engineering Professional Education at Purdue University. Dr. Zoltowski is the recipient of a 2002 Technical Achievement Award from the IEEE Signal Processing Society. In addition, he served as a 2003 Distinguished Lecturer for the IEEE Signal Processing Society. He is a Fellow of IEEE. He is a recipient of the 2006 Distinguished Alumni Award from Drexel University. Dr. Zoltowski is a co-recipient of the IEEE Communications Society 2001 Leonard G. Abraham Prize Paper Award in the Field of Communications Systems. He is also the recipient of the IEEE Signal Processing Society's 1991 Paper Award, ``The Fred Ellersick MILCOM Award for Best Paper in the Unclassified Technical Program" at the 1998 IEEE Military Communications Conference, and a Best Paper Award at the 2000 IEEE International Symposium on Spread Spectrum Techniques and Applications. In addition, from 1998 to 2001, Dr. Zoltowski served as an elected Member-at-Large of the Board of Governors and Secretary of the IEEE Signal Processing Society. From 2003-2005, he served on the Awards Board of the IEEE Signal Processing Society and also served as the Area Editor in charge of Feature Articles for the IEEE Signal Processing Magazine. Within the IEEE Signal Processing Society, he has been a member of the Technical Committee for the Statistical Signal and Array Processing Area, the Technical Committee for DSP Education and the Technical Committee on Signal Processing for Communications (SPCOM.) From 2003-2004, he served as Vice-Chair of the Technical Committee on Sensor and Multichannel (SAM) Processing, and served as Chair for 2005-2006. He has served as an Associate Editor for both the IEEE Transactions on Signal Processing and the IEEE Communications Letters. He was Technical Chair for the 2006 IEEE Sensor Array and Multichannel Workshop. He served as Vice-President for Awards and Membership for the IEEE Signal Processing Society, for 2008-2010.